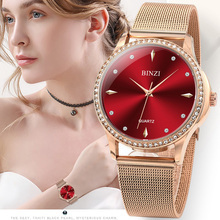 2018 New Arrivals luxury & fashion ladies watch. 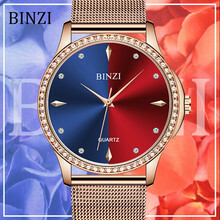 Luxury Gold/Space Silver watch band, collocat with Royal Blue, Gem Red, Classic Black & Elegant Silver 4 colors watch face. 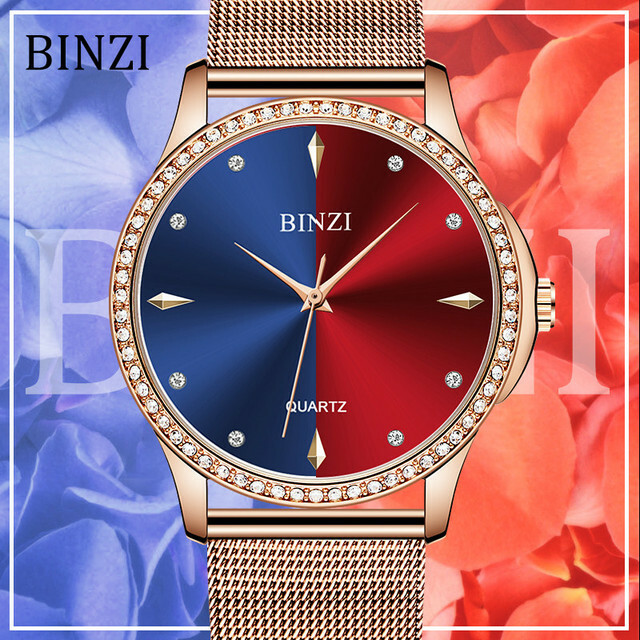 8 colors for choice total. Shining Rhinestone round as watch face decoration. 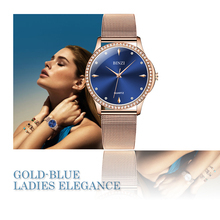 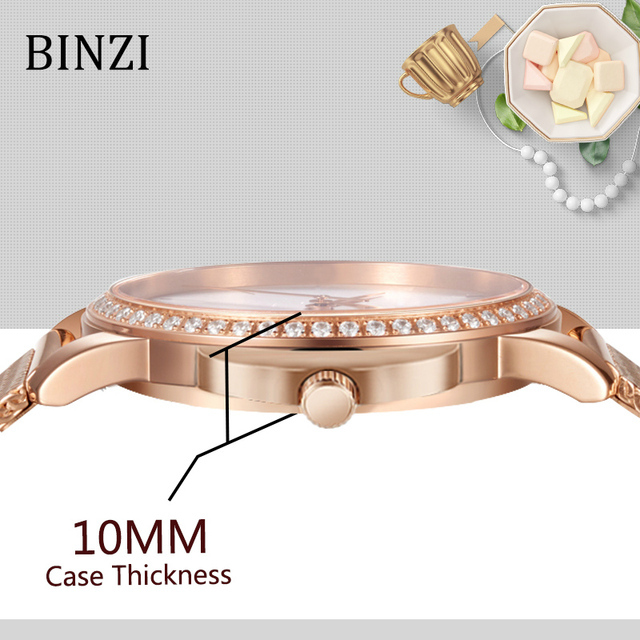 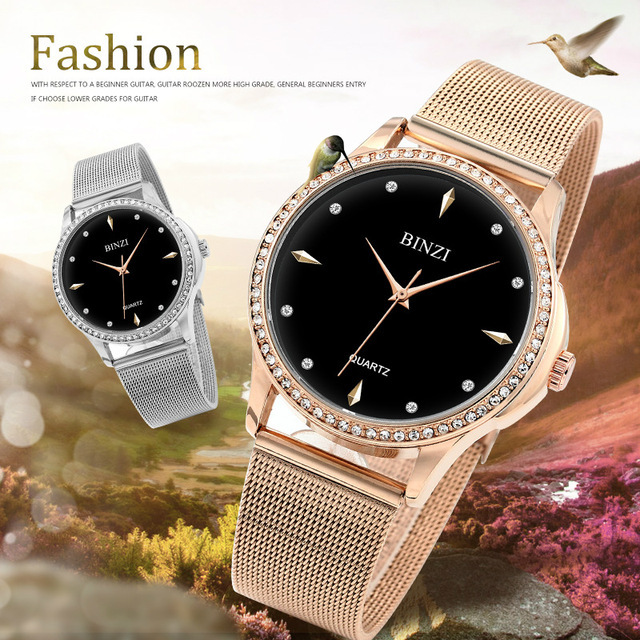 Luxury, Fashion & Classic style make BINZI Watch deserve a spot in every ladies collection. 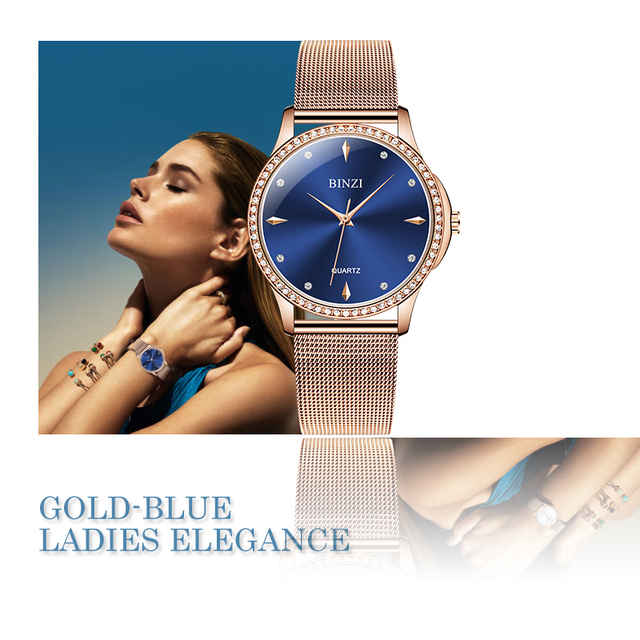 No matter business, casual, indoor activities or daily use. It’s also a wonderful Gift for your family, friend or loverer. 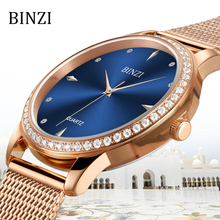 Every BINZI watch is outfitted with a top quality quartz movement.